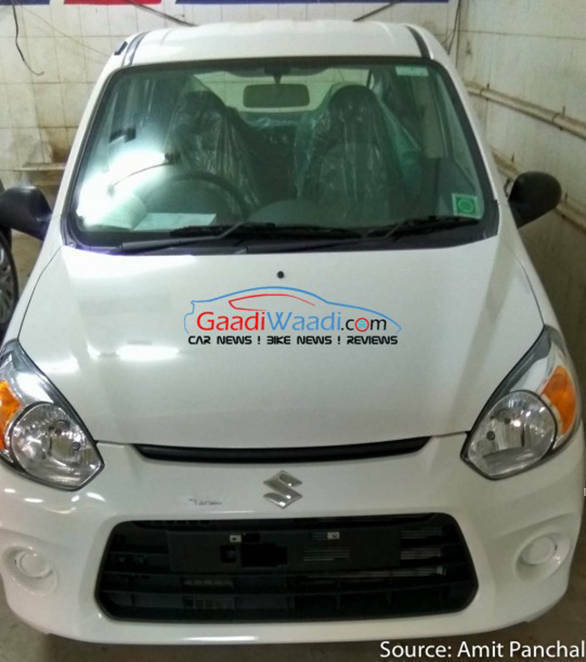 India's largest carmaker, Maruti Suzuki, will launch the Alto 800 facelift by the end of this month. 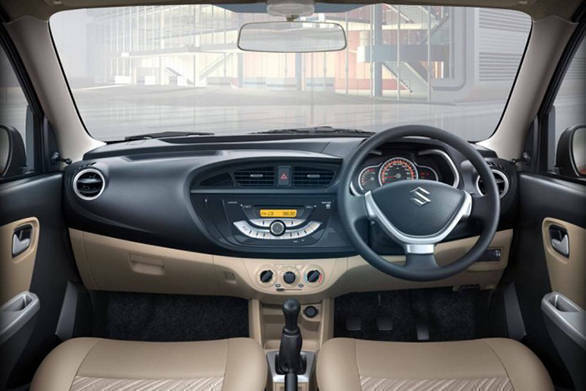 Launched in 2012 as a successor of the iconic Maruti 800, this is the first time that the Alto 800 get an update. 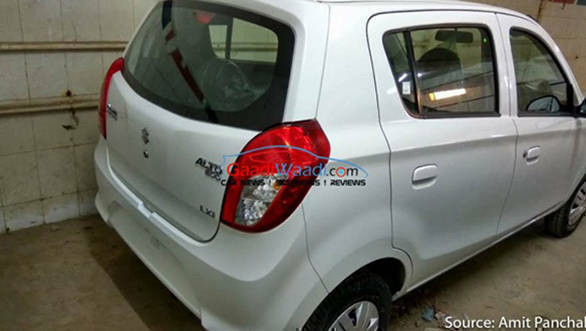 As seen from the images, the Alto 800 facelift has been spotted at a dealer stock yard. The Alto 800 facelift gets a minor update on the front profile. It gets revised turn indicators and a compact front grille with a horizontal slit. The front bumper design has been tweaked with a larger hexagonal air dam and new circular fog lamp housing which was missing in the previous model. The changes in the cabin aren't visible in the images but also expected to get a mild revision. Powering this entry-level hatch is a 796cc petrol motor that puts out 47PS and 69Nm of torque. Mated to this engine is a 5-speed manual transmission. The Alto 800 facelift will not get an update in terms of its mechanicals. Presently, the Alto 800 is priced between Rs 2.81 lakh - 4.09 lakh (ex-Mumbai). The Alto 800 facelift will compete with the likes of Hyundai Eon, Tata Nano and the Renault Kwid. The Alto 800 facelift will also rival the upcoming Datsun redi-GO which is expected to launch in the first week of June.